Soil amendment? Garden mulch? Container potting? These and more “best uses” for your homemade compost. 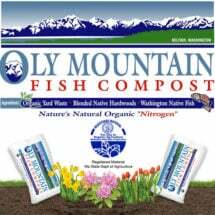 Most frequently and most usefully, compost is added to your garden as a soil amendment to improve soil structure, buffer pH, increase the population of micro- and macro-organisms, and add organic material on which soil organisms feed. 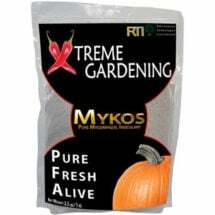 Though spread most frequently on garden beds, it can also be used on lawns and in pots, baskets and containers. And if you have enough of it, it makes an excellent mulch. Despite the oft-repeated claim that one can never use too much compost, there are actually a couple of situations in which it is not recommended. These can be found at the end of the page. If you’re looking for the fastest ticket to a lush garden, start at ground level. 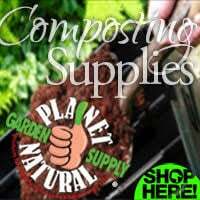 Planet Natural offers a large selection of soils and amendments to keep your crops healthy and disease-resistant year after year. The time-honored method is to dig the compost in. But it’s increasingly recognized that no-till methods have a place even in home gardens. Digging breaks and disrupts the long, delicate filaments of mycorrhizal fungi that colonize perhaps 90% of plants roots and then grow downwards, branching out like a second set of roots, giving plants access to nutrients deep in the earth. When the surface of the earth is tilled, this network of fungi needs to re-establish itself each year. 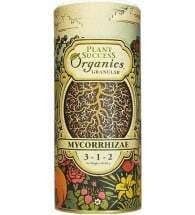 When seeds are planted without tilling, they can often hook up with last year’s mycorrhizae almost immediately, which gives them an early advantage. However, soils with poor soil structure do need to have organic matter thoroughly incorporated into them. If your soil has too much sand or clay, if it is compacted, or if it lacks organic matter, then by all means dig. If you have a light, rich garden soil, and you’re using compost to maintain rather than to remediate it, then there’s no need to dig it up. Just spread the compost on top. 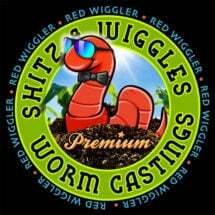 Worms, rain and microbial action will mix it into the soil beneath it. If you spread it in the fall, it will already be thoroughly incorporated by spring. Mulches are any material laid over soil between plants in order to reduce soil evaporation, smother weeds, or regulate soil temperature. Plastic mulches are designed to raise soil temperature. 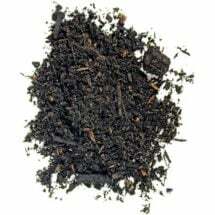 Organic mulches, on the other hand, insulate soil against temperature change, protecting it from high daytime temperatures and conserving heat by night. Organic mulches, from newspaper to wood chips to leaves to compost, have the advantage that as time passes they decay, adding to the organic content of the soil. Builds soil and feeds plants, too! 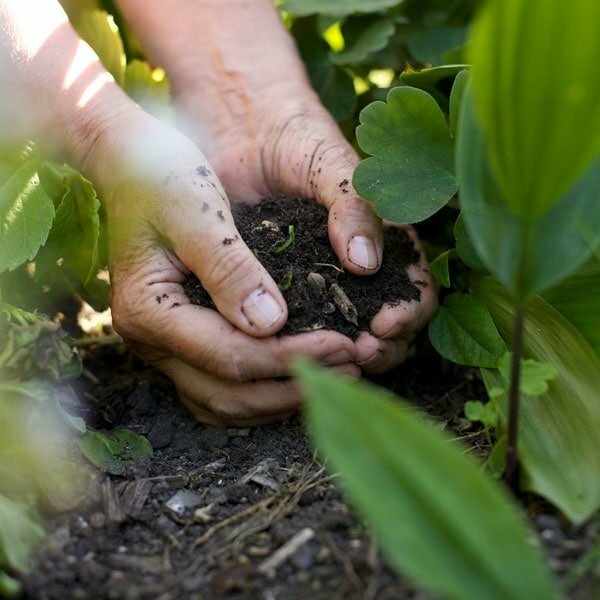 Teufel’s Organic Compost provides a microbially active source of organic matter, humus and other important soil builders required by plants to thrive. 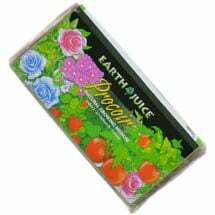 Contains NO sewage sludge or bio-solids that are often found in commercial brands. 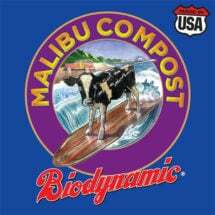 Compost as a mulch does not suppress weeds, but it does conserve soil moisture and temperature. And it contributes enormously to the soil’s organic matter. Compost makes an excellent amendment for lawns as well as gardens, largely because it does not need to be dug into the soil. Adding it is simple. Sprinkle it over the grass. Worms and other organisms will do the rest. A surprisingly thin layer of compost — 1/4th of an inch — is generally recommended for lawns. More can smother the grass. Though this may sound absurd — how could half an inch of compost smother three-inch-high grass? — it is not. Though the tip of a grass blade performs a disproportionate share of vital functions such as photosynthesis and transpiration, these functions are performed along the blade’s entire length. Compost piled half-an-inch deep at the plant’s base shuts down these functions for a sixth of the plant’s length. Compost used on lawns will perform best and look best if it is sifted before application. Unsifted, it could contain large clumps or lumps which cannot help, and may even hurt, the grass they land on. 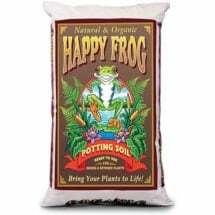 Though good garden soil contains only 5% organic matter, potting soil may contain a considerably higher percentage to support the health of plants in a confined environment. For instance, compost’s ability to absorb and retain water is especially important in containers, which dry out quickly. 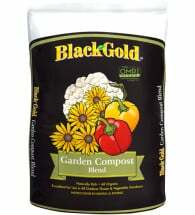 Occasionally 100% compost is used for some plants (tomatoes, for instance), but for most plants a mixture of mediums works best. No single recipe is recognized as best for all applications but the one that follows is an excellent all-purpose mixture. In this mixture, compost makes up 2/5ths of the total, which is standard. Most potting mixes call for a quarter to half compost. When a mix contains more than that, it may become heavy, dense and slow to drain. Vermiculite, a puffed mineral, adds porosity and keeps soil light. Sand ensures good drainage, no matter how compacted the soil may become, Coco Coir boosts water retention without letting the soil become heavy. Only fine-grained, sifted compost should be used when container gardening, especially in small pots. Plants in confined spaces need to get all they can from their soil and sifted compost helps ensure that soil stays light and well mixed. Smaller particles, with their greater surface area and commensurately greater number of attachment sites, can retain nutrients more successfully than can large clods. Compost thus performs many important roles in the mix. 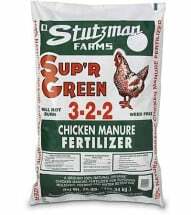 If you’re planning to add both a pH amendment and compost, your lime or sulfur will go further if you add it first, wait a couple of weeks, and then add compost. Compost significantly boosts Cation Exchange Capacity (CEC), which means that it will tend to absorb and in a sense de-fang any amendments meant to alter the pH. (This is compost’s famous ability to buffer pH in action.) The chemicals in those amendments need to bind to other minerals in order to change the pH, but when soil organic matter (SOM) levels are high, they will bind instead to those organic molecules. In other words, compost interferes with pH amendments. So if you’re serious about wanting to change your soil pH significantly and swiftly, let the amendment have a chance to work before you add compost. Lime tends to be a fairly slow-acting amendment, so this is a case in which wood ashes might well be a better choice for raising pH. Ashes work quite quickly with the not surprising corollary that their affect isn’t all that long-lasting. Lime applications, on the other hand, can be effective for three years. Used in high volumes in landscaping, compost can cause numerous, generally ignored problems. As it degrades, it loses volume, leading to collapsing soil, hollows, and associated problems with water-flow and aesthetics. A number of these have been discussed by Linda Chalker-Scott in her articles on “Horticultural Myths,” a regular feature for years in Master Gardener Magazine. Chalker-Scott, an Extension Urban Horticulturist at Washington State University, has collected these articles on her website, where they can be downloaded individually.